You know I always talk about packaging first..So it comes in a nice black box with 2 little pots and a brush. I think the packaging is really nice (amazing actually, considering the price) but some may consider it bulky. Each pot has 2 compartments; the snap mechanism opens up to the powder and unscrewing it opens the cream product. 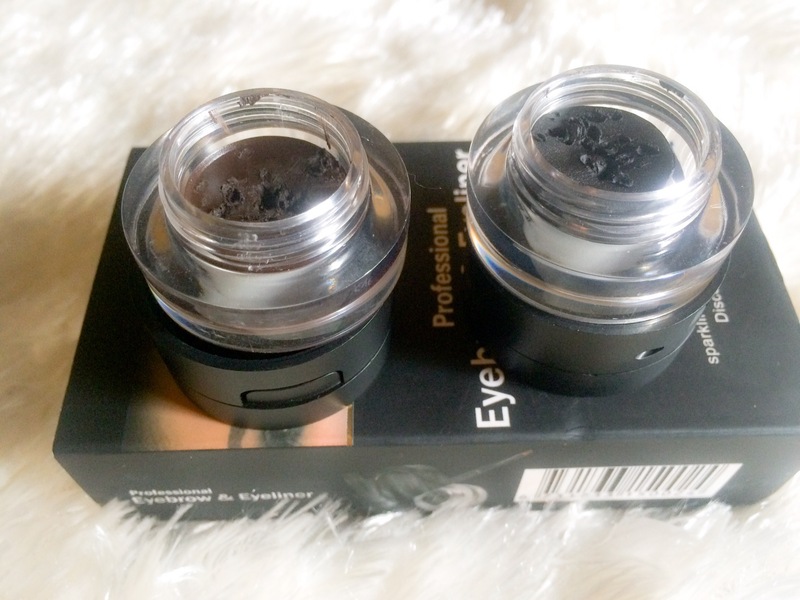 One pot contains black product(for eyeliner) and brown product(for brows). Let’s talk about the cream products first, they are sooo pigmented. The brown pomade is really amazing, it glides in smoothly and fills in the brows really nicely. NB: Please apply with a light hand. The only problem I think is that it may be too dark for people who are lighter than I am(and it doesn’t come in different shades). If you’re close to my skintone or darker, it would be amazing on you. 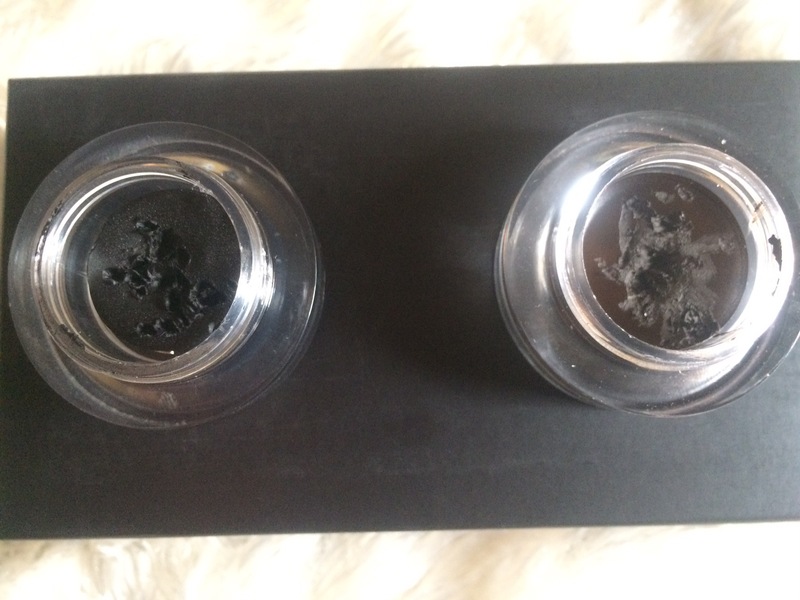 The black pomade is really dark and I use it to line my eyes and it does not smudge or transfer. Both pomades also have good staying power. The powder products, on the other hand are quite poor in pigmentation. 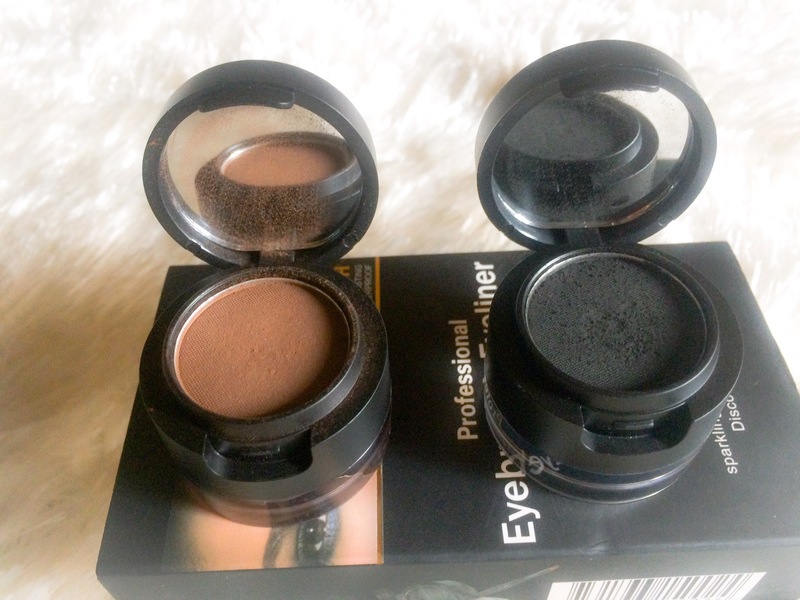 I use the brown powder as a light eyeshadow in my crease. I’ve not really found much use for the powders. 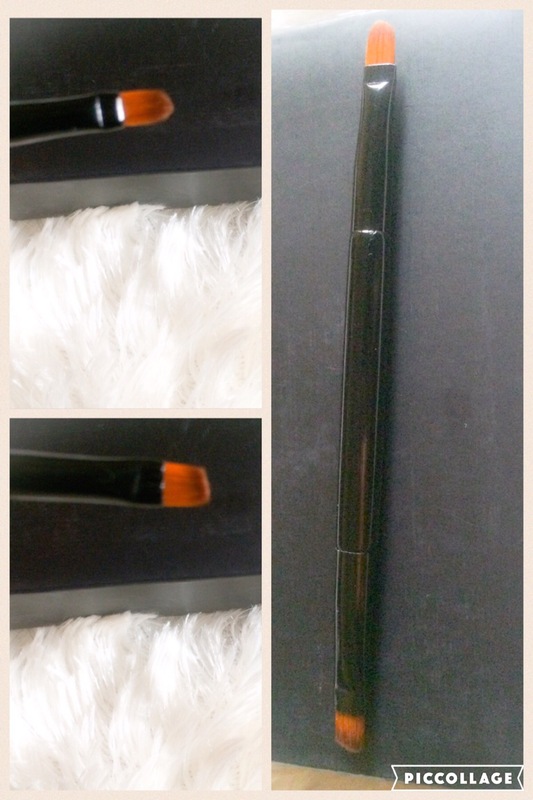 It comes with a double- ended brush which is really good. It is small so it gives you control when you using it. 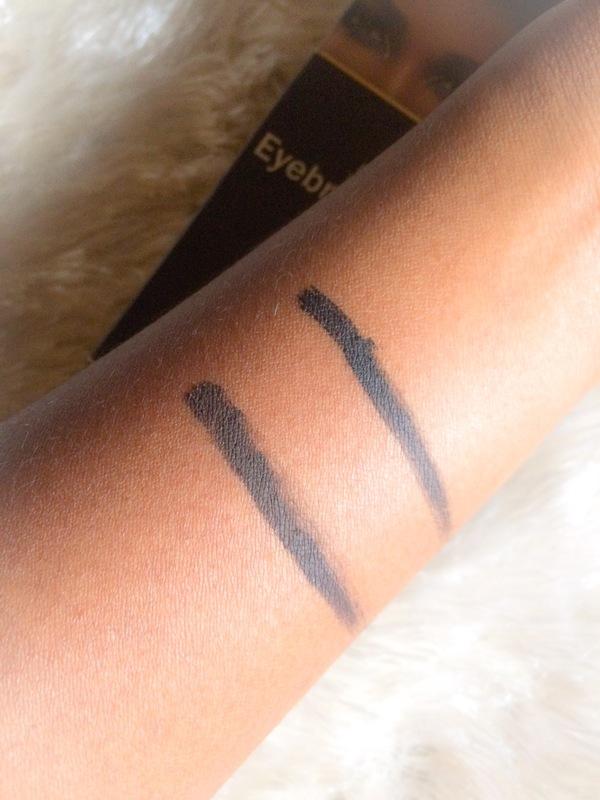 One end is a pointed liner end(for lining eyes) and the other is an angled liner end(for filling brows). As far as the pomades go, they are really amazing. 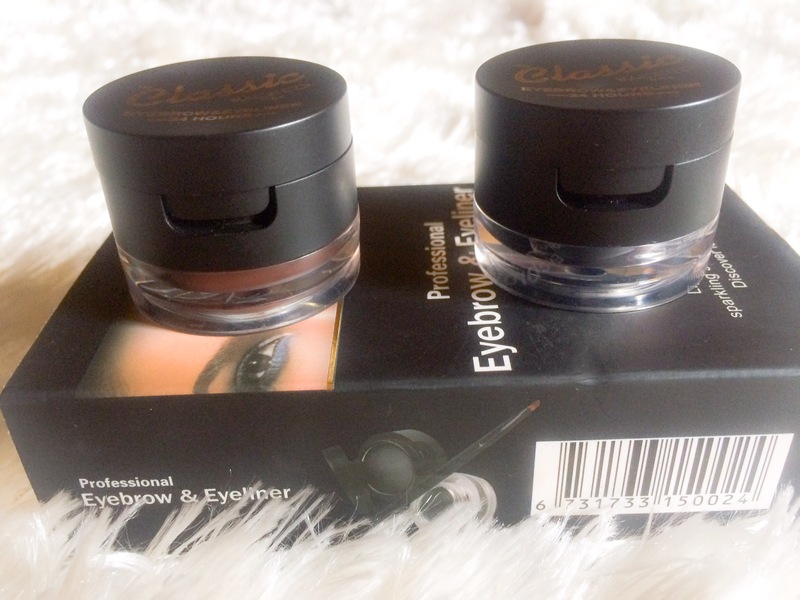 The powders are just bleh…Would I repurchase this duo? Most likely. It does exactly what I want(I bought it for the pomades anyway). I score it an 8/10. UPDATED VERDICT: After using it a few times, it got really stiff and hard to apply. I won’t be repurchasing this product. I’m back to using brow pencils.😂 I now score it a 3 out of 10. I’d love to hear your thoughts and comments….Let’s gist makeup!